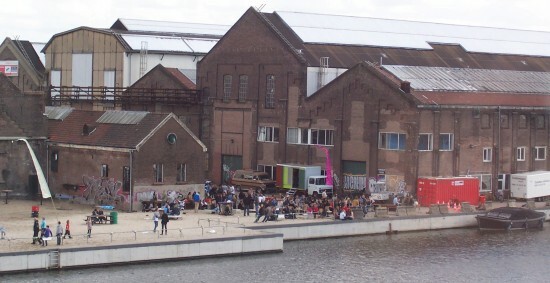 Café Roest is a new venue in Amsterdam. It is located in the eastern part of the city. 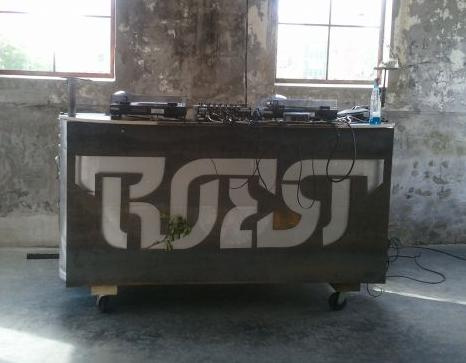 Roest has it all, a city-beach, a café, a theatre and during the weekends a nice club to chill. They describe themselves as: A creative refuge. An experiment that is open to original ideas. Roest is minimalist but warm. Roest invites you to help yourself. Pretensions are thrown overboard, but Roest never lose sight of quality. Roest is different every day, but makes expectations. You can relax, dance, create, enjoy and be inspired by art, film and theater. 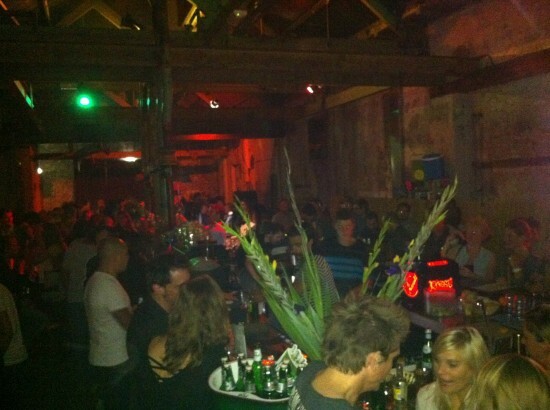 Roest is for everyone. Roest is a new love. I was here on a Friday night and was really pleasantly surprised. I must admit that the location is not in the city center. On the a other hand, it’s just a few minutes with a taxi or Public Transport (Tram 10 or 26. Bus 43). The people were all 25 + and very laidback. People were also sitting outside on the terrace with a bonfire. Typical but nice. The bar had several beers and wines, nice and cold! 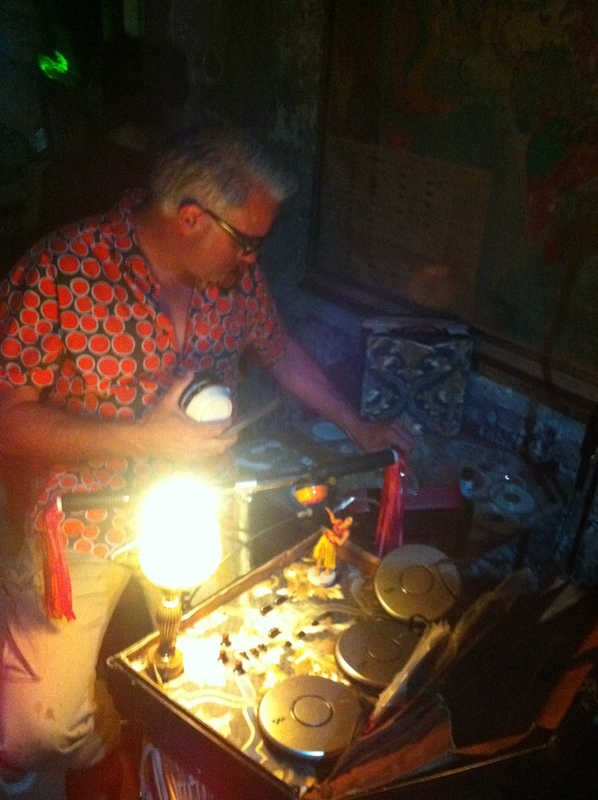 At this Friday evening there was a fantastic DJ, he was showing his skills with three discmans (!) build on a cargo bike. Check the image below! 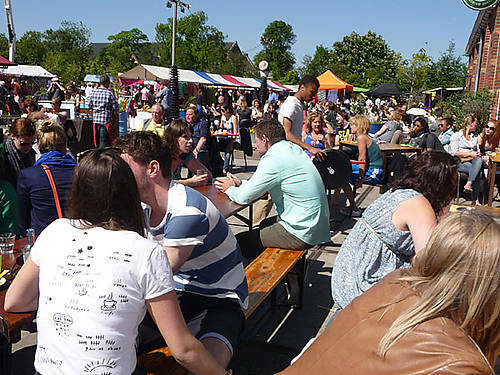 I think this is a good example how Roest felt, no show-offs, no posh, just having a great time!